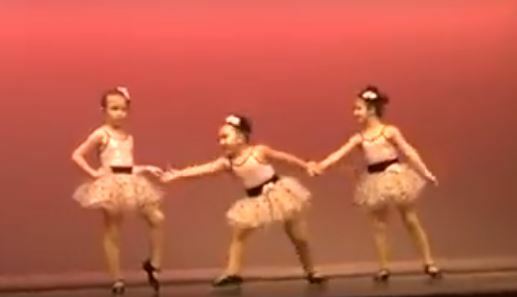 A big dance recital in front of 400 people is a daunting idea to anyone, but it can be especially nerve-wracking for young children! But that certainly didn’t seem to be the case for Johanna Colon of North Carolina, who performed a dance routine to Aretha Franklin’s “Respect” with her two fellow dancer friends! From the beginning of the routine, Johanna, who stood between the other dancers, immediately stood out. Every movement she made, from the kicks of her legs, to the sways of her hips, to the gestures of her arms and hands, was completely filled with sass and attitude. From head to toe, Johanna was completely slaying the game! Her flamboyance, pizzazz, and clear confidence immediately captured the hearts of the audience, who couldn’t stop laughing and cheering throughout her entire performance. When she struck her final pose, hand on her hip and head cocked to the side in a “Oh no she didn’t!” pose, the entire crowd lost it and began screaming and giving the dancers a standing ovation! 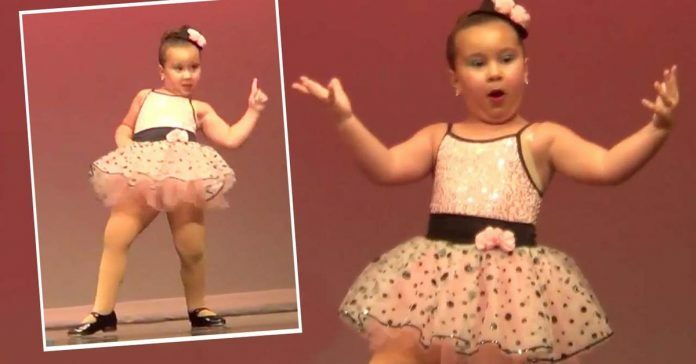 According to her parents, Johanna – who was six at the time of the dance – had been rehearsing her dance at home non-stop and learned a lot about the legendary Aretha Franklin from them while she was at it. Apparently, she also noticed the sass and diva behavior of the queen Aretha herself, and emanated it perfectly on stage! You have to see it to believe it. Check out Johanna’s show-stopping moves here!